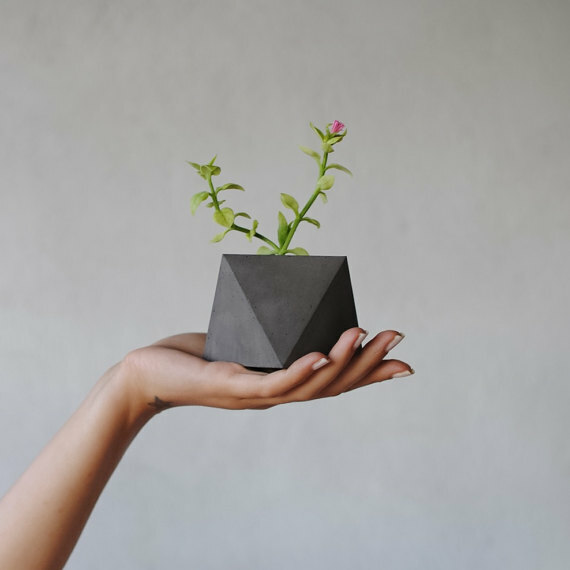 Those who have read anything on my site before know that there is much about concrete and much about pots so it should come as no surprise to you that I have trawled the net and found yet more inspiring concrete planter designs to tickle you with. 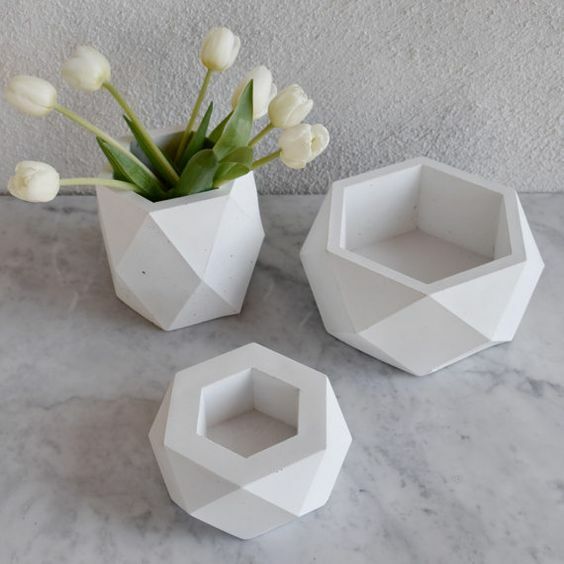 It’s much the same idea as my own work but geometric concrete is cool and in it’s smallest forms is cute and easy to make. It’s only when you increase the sizes that it gets more complex and that’s where I come in. 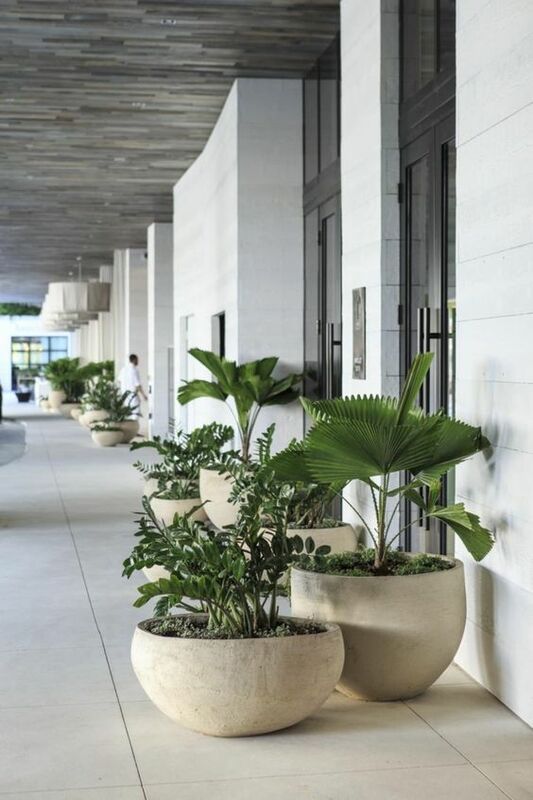 These designs above are a simple and elegant with stylish, modern cacti planted inside. Very now. Another similarly themed design with a high quality feel. A lot of the stuff seen on Etsy is home made and has a very home made feel to it. 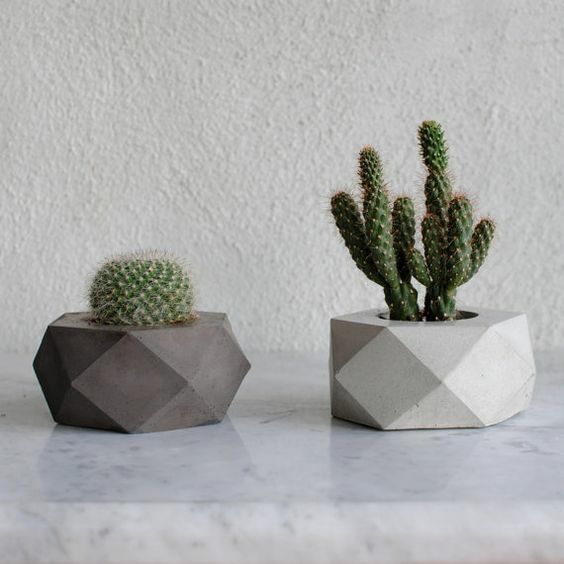 If you are looking for something a bit more quality then these triangular pots exude that both in product and photography. 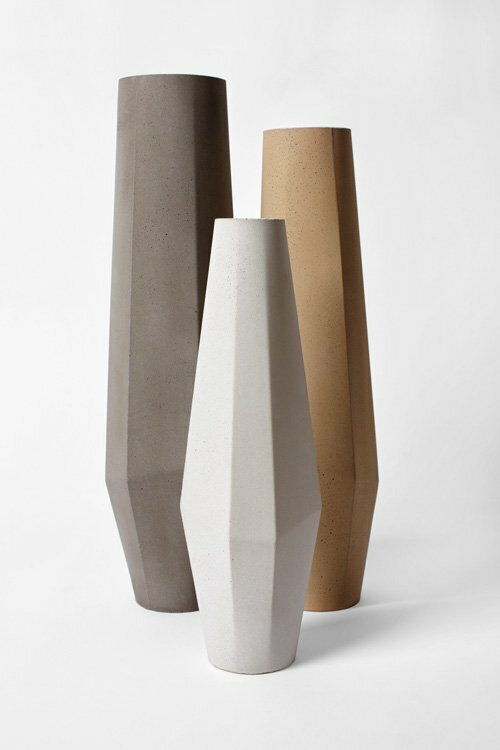 These are a little different and still made from concrete! The colours are not your typical as the producer dyes it to get a range of interesting muted shades that have a stylish and modern restraint to them. 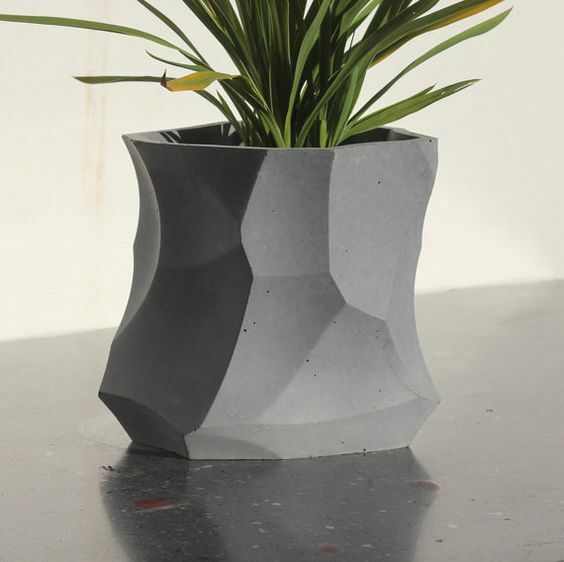 These fall into the category of vase rather than planters but still are interesting forms. 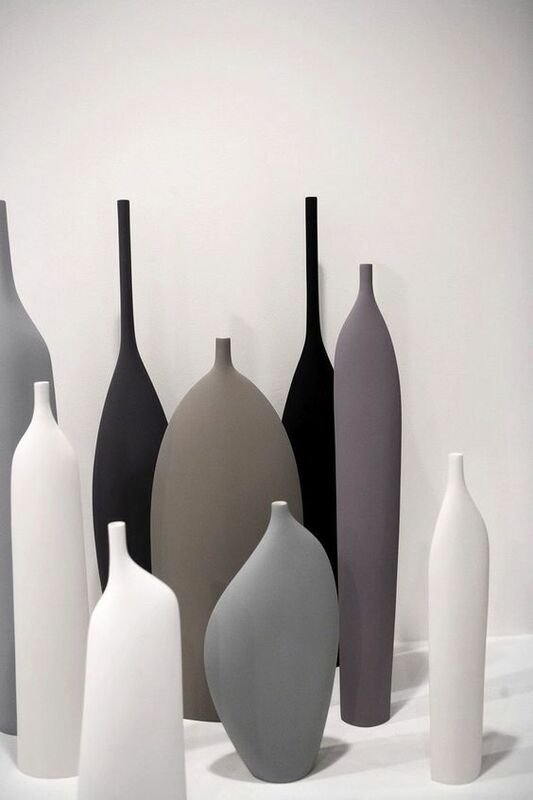 Ok so here I went off piste because these still have the feel of concrete with their muted tones but they are actually ceramic. 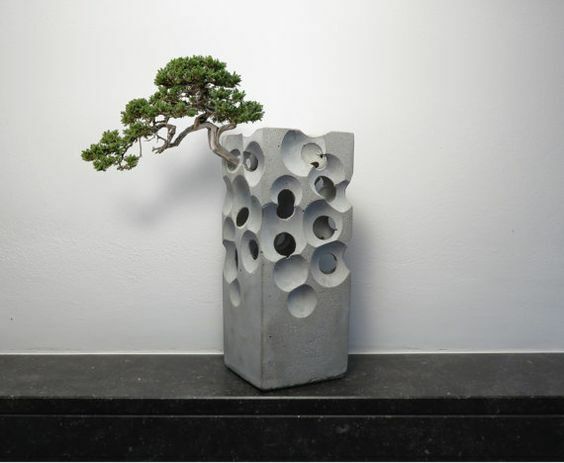 The change in material has meant that a narrow neck can be achieved by slip casting, something that is not possible with concrete. Some may have seen these before but I still think they are great. 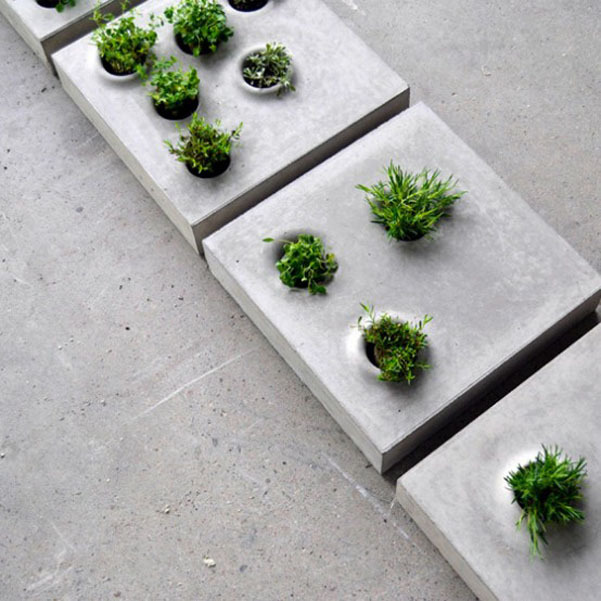 The slab design makes these planters either a more interesting paving slab or a more interesting pot. The design detail of the lip flowing up at the pot edge adds so much and the over all appearance is very nice. Artilier Vierkant have some very nice pots and they have done well out of the hand made feel to their work. Produced in Belgium the ranges come in various colours and shapes and although these again aren’t concrete they have a similar feel. Not origami but I like the twist on the regular geometric form. Like a rough carved chunk of clay the high quality cast of concrete is actually extremely thin. I don’t know if it is a strong enough mix or if it is a concrete effect resin but the outcome is different and interesting. 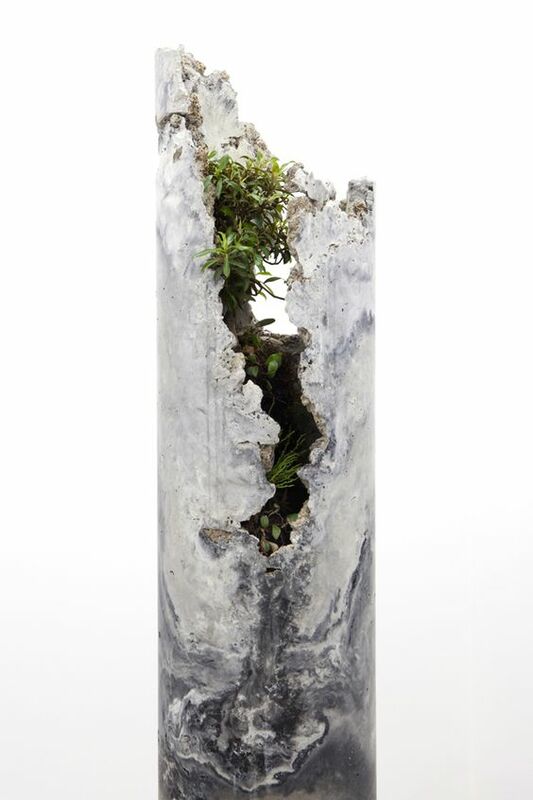 I like to call my work sculpture planters because I feel I bridge the gap between art and product but Jamie north goes one step further and his work actually is proper art. The interesting cave like shapes are created to have voids of space where cave dwelling plants can be grown. The swirls and colours will be from a mix of concrete that has repelled it’s ingredient, separating and not mixing effectively. But that’s OK because these don’t need to support great weights, just look cool.